Need A Commercial Electrician? Hire The Best. Your business is your life. 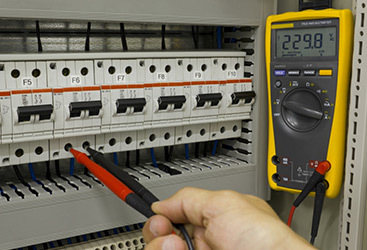 When your commercial electrical circuits are failing, broken, or functioning at a less-than-desirable capacity, our team of professional commercial electricians can help you so that you can restore your productivity and get the reliable electrical wiring and circuitry you need. It’s not hard to see that, with the dawn of the technological revolution, businesses have to work double-time in order to keep up with the ever-increasing demands of both power and speed for all things electrical. However, many businesses are still running on decade-old circuits and electrical panels, which prevent a real, efficient productivity. 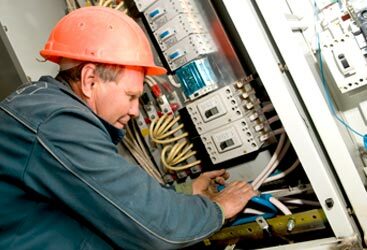 It’s time to get the commercial electrician you trust to solve your electrical problems and power your businesses properly. By having an updated and well-maintained circuit, you can easily prevent overloads, fires, meltdowns, and so much more, avoiding costly repairs and an even costlier electrical system replacement. From security systems to office technology to specialty lighting and even the coffee maker, almost everything in your office requires electricity to run. Our team will be able to assess your electricity use, needs and budget so that we can fully understand whether your circuit can handle the system. In addition, our commercial circuitry repairs are done efficiently so that you can get back up and running in no time after a failure. 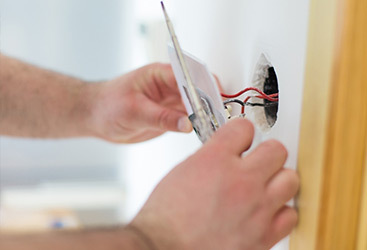 Contact us today to learn more about circuit upgrades and repairs, and see why Salinas loves us.